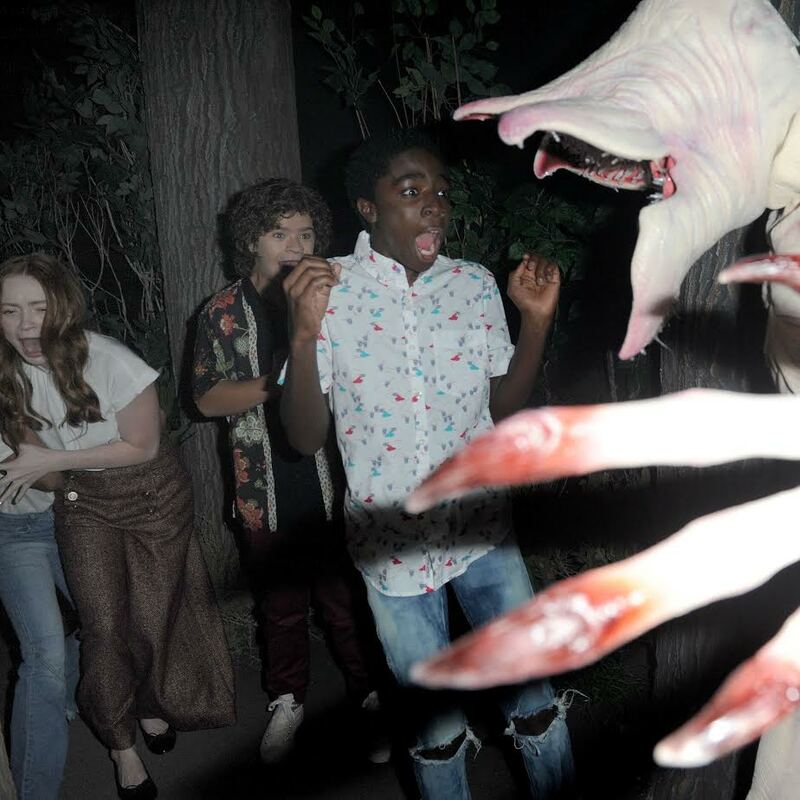 Universal City, CA and Orlando, Fla, September 25, 2018 – Things turned upside down when cast from Netflix’s “Stranger Things” took a terrifying spin through the “Stranger Things” maze at Universal Studios’ “Halloween Horror Nights,” coming face to face with the show’s most iconic scenes and life-sized predatory Demogorgon. 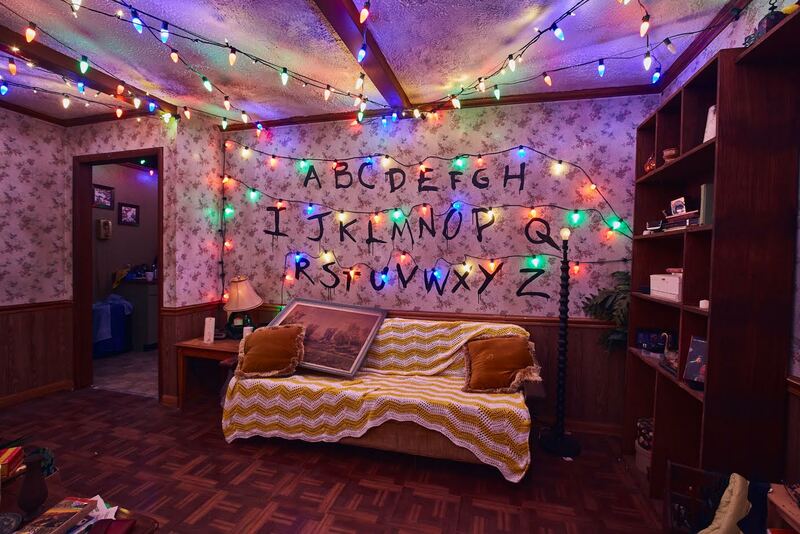 Gaten Matarazzo (Dustin Henderson), Caleb McLaughlin (Lucas Sinclair), Sadie Sink (Max Mayfield) and Priah Ferguson (Erica Sinclair) visited Universal Studios Hollywood to attend the event’s red carpet premiere, surprise fans and step into the Upside Down to experience the all-new “Stranger Things” maze. Their reactions were priceless. Collectively the group was in awe, characterizing the maze as an exact replica of the show and referencing their close call with the Demogorgon as “freaking awesome,” “really great” and “so scary.” Video of the cast experiencing the maze can be seen here. “Halloween Horror Nights” continues on select nights through November 3 in Hollywood and Orlando, and on select nights through October 31 in Singapore. 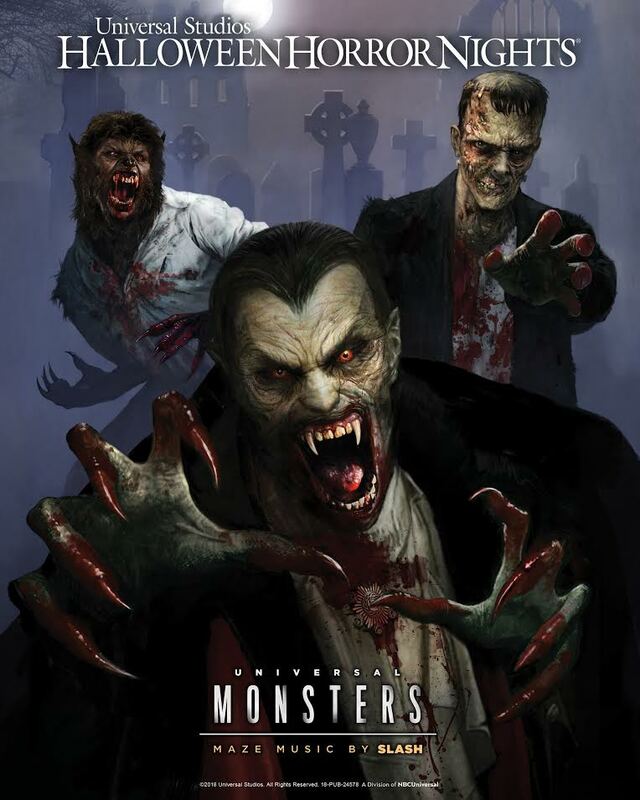 For more information and to purchase tickets for “Halloween Horror Nights “at Universal Studios Hollywood, Universal Orlando Resort or Universal Studios Singapore, visit www.HalloweenHorrorNights.com. Los Angeles, CA (September 12, 2018) – The Los Angeles Philharmonic has commissioned award-winning media artist Refik Anadol to create unprecedented, breathtaking, three-dimensional projections onto the steel exterior of Walt Disney Concert Hall to signal the commencement of the LA Phil’s 100-year anniversary celebrations. Free and open to the public, nightly performances are scheduled to occur every half hour, with the first performance at 7:30 p.m., and the last at 11:30 p.m., September 28 to October 6. The Los Angeles Philharmonic Presents “WDCH Dreams” Celebrating the LA Phil’s 100th Anniversary. 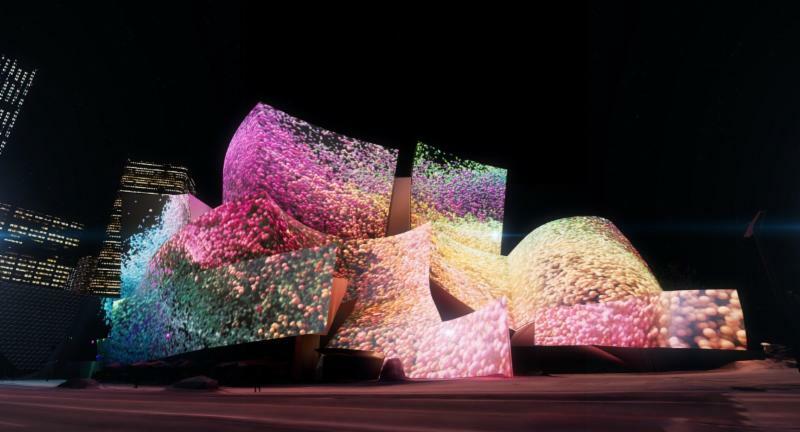 Applying custom algorithms to the LA Phil digital archives, media artist Refik Anadol has created WDCH Dreams, stunning visualizations projected onto the building’s exterior for a week and also a season-long immersive exhibition in the Ira Gershwin Gallery. The Los Angeles Philharmonic has commissioned award-winning media artist Refik Anadol to create unprecedented, breathtaking, three-dimensional projections onto the steel exterior of Walt Disney Concert Hall to signal the commencement of the LA Phil’s 100-year anniversary celebrations. Free and open to the public, nightly performances are scheduled to occur every half hour, with the first performance at 7:30 p.m., and the last at 11:30 p.m., September 28 to October 6. To make Walt Disney Concert Hall “dream,” Anadol utilized a creative, computerized “mind” to mimic how humans dream – by processing memories to form a new combination of images and ideas. To accomplish this, Anadol worked with the Artists and Machine Intelligence program at Google Arts and Culture to apply machine intelligence to the orchestra’s digital archives – nearly 45 terabytes of data – 587,763 image files, 1,880 video files, 1,483 metadata files, and 17,773 audio files (the equivalent of 40,000 hours of audio from 16,471 performances). The files were parsed into millions of data points that were then categorized by hundreds of attributes, by deep neural networks with the capacity to both remember the totality of the LA Phil’s “memories” and create new connections between them. This “data universe” is Anadol’s material, and machine intelligence is his artistic collaborator. Together, they create something new in image and sound by awakening the metaphorical “consciousness” of Walt Disney Concert Hall. The result is a radical visualization of the organization’s first century and an exploration of synergies between art and technology, and architecture and institutional memory. To actualize this vision, Anadol is employing 42 large scale projectors, with 50K visual resolution, 8-channel sound, and 1.2M luminance in total. The resulting patterns, or “data sculptures” formed by the machine’s interpretation of the archives will be displayed directly onto the undulating stainless-steel exterior of Walt Disney Concert Hall. WDCH Dreams’ accompanying soundtrack was created from hand-picked audio from the LA Phil’s archival recordings. Sound designers Parag K. Mital, Robert Thomas, and Kerim Karaoglu augmented these selections by using machine-learning algorithms to find similar performances recorded throughout the LA Phil’s history, creating a unique exploration of historic audio recordings. Viewers can access the soundtrack at the LA Phil’s website (laphil.com/wdchdreams). Inside Walt Disney Concert Hall, in the Ira Gershwin Gallery, is an immersive and interactive companion installation, offering a unique, one-on-one experience for each gallery visitor. The exhibition presents the entire LA Phil digital archives in a non-linear fashion. The visitor, via a touchscreen interface, can interact with the archives in multiple ways: via a sunburst timeline; through curated moments highlighting milestones in the LA Phil’s 100-year history; and by delving into to the entire data universe that can be uniquely manipulated by each gallery visitor. The space will be re-imagined as a mirrored U-shaped room with two-channel projection. Visuals will be projected onto the mirrored surface giving the visitor a truly immersive, 360-degree experience. The Ira Gershwin Gallery opens to the public on September 28 and will remain open throughout the Centennial season. Visitors can reserve times to access the gallery via The Music Center’s self-guided tour schedule weekdays from 10am – 3pm. Ticket holders to any concert during the Centennial season can access the gallery 90 minutes prior to performances. As a part of the Centennial celebrations, the LA Phil will make a selection of its archives, and online exhibitions, available on Google Arts & Culture, exploring how WDCH Dreams was made, with behind-the-scenes footage and a short film about the development of the project. 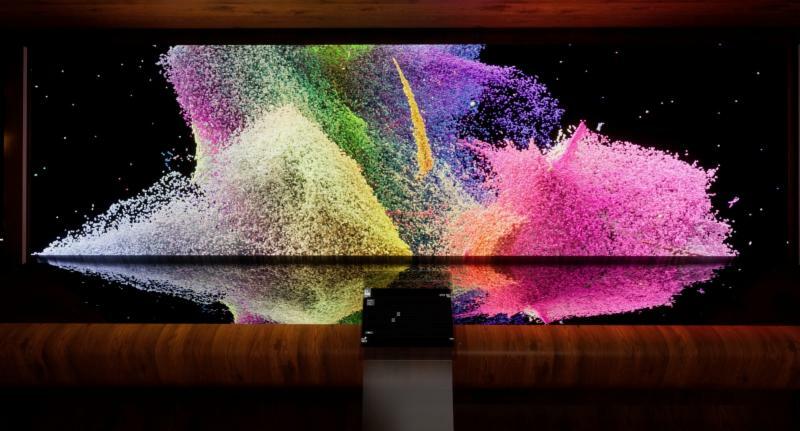 Refik Anadol is known for transforming architectural spaces and façades into giant canvases for live media arts. Born in Turkey, he founded the Istanbul-based design studio Antilop; he also operates a studio in Los Angeles and teaches media arts at UCLA. His renowned site-specific works have been presented at the Digital Arts Biennial Montreal, the Ars Electronica Festival in Austria, and the Outdoor Vision Festival in Santa Fe. He also has contributed unforgettable work in previous LA Phil seasons, including real-time projections for a 2014 performance of Edgard Varèse’s Amériques led by LA Phil Conductor Laureate Esa-Pekka Salonen, and Schumann’s Das Paradies und die Peri, conducted by Gustavo Dudamel and directed by Peter Sellars. Artists and Machine Intelligence (AMI) is a program at Google Arts & Culture that brings together artists, philosophers, and machine-learning researchers to realize projects using machine intelligence. Google Arts & Culture is a new, immersive way to experience art, history, culture, and world wonders from over a thousand organizations worldwide. Google Arts & Culture has been created by the Google Cultural Institute, and it is available for free to everyone on the web and on iOS and Android. Read more here. Early in the 21st century, machine intelligence advanced beyond the memorization and analysis of data as a basis for prediction. The next phase was creation – data made beautiful. Pairing a computer’s “mind” with a building’s structure transformed both, giving the neural networks of the machine a canvas on which to create and architecture a “consciousness” with which to dream. 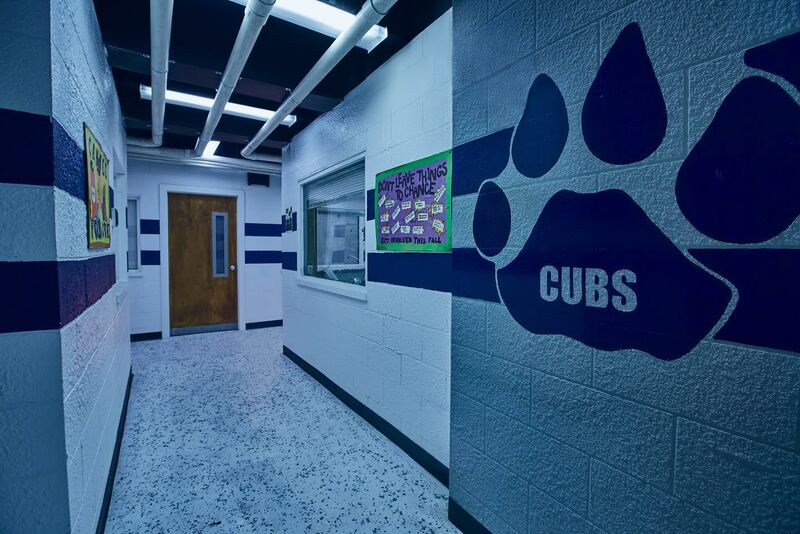 High resolution renderings, for press purposes only, can be found here. In its Centennial year (September 2018 through October 2019), the LA Phil is inviting people from Los Angeles and around the world to join them in envisioning a future that music can help create. Major initiatives include presenting the orchestra’s most ambitious artistic season to date, featuring over 50 commissioned works and the LA Phil’s largest roster of artistic collaborations; investing in the future of young people by creating a permanent YOLA center, The Judith and Thomas L. Beckmen YOLA Center @ Inglewood, designed by Frank Gehry; establishing the LA Phil Resident Fellows Program, which will provide musicians representing or serving historically underrepresented populations opportunities for professional advancement; welcoming all of Los Angeles to Celebrate LA! : LA Phil 100 x CicLAvia, a free, massive, street festival featuring performances by hundreds of musicians, dancers and visual artists, stretching from Grand Avenue in front of Walt Disney Concert Hall all the way to the Hollywood Bowl, and concluding with LA Phil 100 at the Bowl, a free concert at the Hollywood Bowl; the “100 for the 100th: Be Our Guest” free ticket initiative, which will invite thousands of new listeners into Walt Disney Concert Hall; and a $500 Million Centennial Campaign to fund the future. The Los Angeles Philharmonic Association, under the vibrant leadership of Music & Artistic Director Gustavo Dudamel, presents an inspiring array of music from all genres – orchestral, chamber and Baroque music, organ and celebrity recitals, new music, jazz, world music and pop – at two of L.A.’s iconic venues, Walt Disney Concert Hall (laphil.com) and the Hollywood Bowl (hollywoodbowl.com). The LA Phil’s season at Walt Disney Concert Hall extends from September through May and throughout the summer at the Hollywood Bowl. With the preeminent Los Angeles Philharmonic at the foundation of its offerings, the LA Phil aims to enrich and transform lives through music, with a robust mix of artistic, education and community programs. Washington, DC – Americans have much to thank the Germans for: BMW, bratwursts and hard syllables for letting off steam, for instance. Another of the Germans’ most famous contributions to our society is Oktoberfest, a weeks-long festival with beer as one of its centerpieces. Oktoberfest often lasts from mid-September to the first Sunday in October. It originated in early 19th century Munich. It was only a matter of time before the Oktoberfest madness would find its way to U.S. soil, where nearly 46 millionGerman-Americans make up the largest single ethnic group. A typical Oktoberfest in the U.S. includes many varieties of beer, live music, folk dancing, German fare and elaborate parades. Some American cities have even added their own traditions, like the “Running of the Wieners” race in Cincinnati or “Keg Bowling” in Denver. To help you prepare for this epic German festival, WalletHub compared the 100 largest U.S. cities based on 24 indicators of Oktoberfest-friendliness. Read on to see if you live in one of them. For more fun and interesting facts about this exciting event, make sure to check out our Oktoberfest Facts – History, Beer, Food and More infographic. In evaluating the best cities for celebrating Oktoberfest, what are the top five indicators? What are some social and economic considerations for cities looking to host Oktoberfest celebrations? To determine the best cities for Oktoberfest celebrations, WalletHub compared the 100 most populated U.S. cities across three key dimensions: 1) Oktoberfest Traditions, 2) Costs and 3) Safety & Accessibility. We evaluated those dimensions using 24 relevant metrics, which are listed below with their corresponding weights. Each metric was graded on a 100-point scale, with a score of 100 representing the best conditions for celebrating Oktoberfest. For metrics marked with an asterisk (*), the square root of the population was used to calculate the population size in order to avoid overcompensating for minor differences across cities. Finally, we determined each city’s weighted average across all metrics to calculate its overall score and used the resulting scores to rank-order our sample. Note: This metric measures the difference between 2018 and the year when the city’s first Oktoberfest festival was held. Note: This metric measures the average of the first 10 most rated breweries’ closing hours. Note: This metric is based on a grade that combines “bars per capita*” (measures availability) and “bars per square mile” (measures proximity). Note: Google search volume reflects the frequency of Google searches for the term “Oktoberfest” in each metro area, relative to the national average, according to Google trends. Note: This metric measures both the price of a domestic beer (0.5 liter draught) and the price of a 6-pack Heineken (12 oz. containers), excluding any deposit. Note: This metric was used as a proxy for average wurst price. Note: The average between September and October fatalities was used to calculate this metric. Note: This metric measures specifically the percentage of commuters who use public transit. Note: Oktoberfest takes place outside and underneath the cover of large tents. Large public park spaces and fairgrounds allow more room for the celebration. Sources: Data used to create this ranking were collected from the U.S. Census Bureau, Federal Bureau of Investigation, National Highway Traffic Safety Administration, Google Analytics, INRIX, Funtober, Eventbrite, Yelp, Numbeo, Council for Community and Economic Research, The Trust for Public Land, Kayak and Walk Score. Universal City, Calif., September 6, 2018 – The all-new R.I.P. 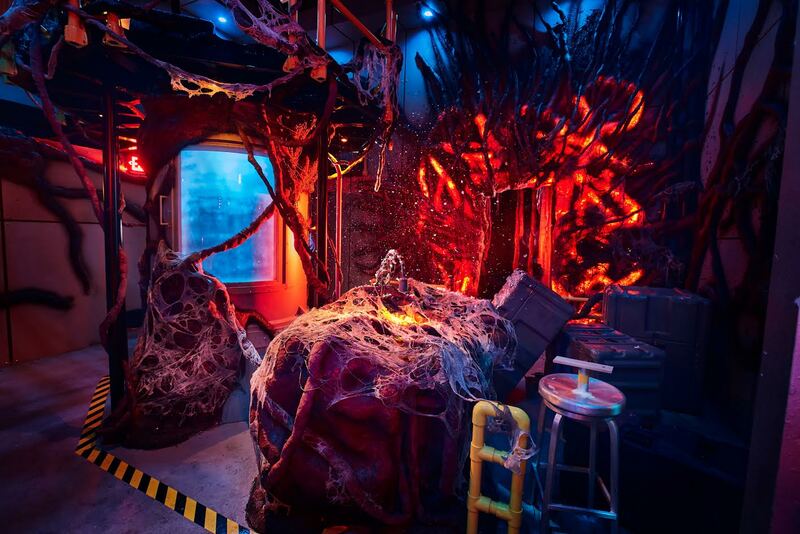 Tour is Universal Studios Hollywood’s first-class ticket to terror this “Halloween Horror Nights,” featuring a private guided tour with trolley access, a gourmet buffet dinner, unlimited Universal Express line privileges and exclusive access to a specially-themed “Stranger Things” lounge. A premium experience that will sell out, the R.I.P. Tour is a must for guests who prefer to scare in style. This year’s “Halloween Horror Nights” dates are: September 14-16, 20-22, 26-30, October 4-7, 11-14, 18-21, 25-28, 31, and November 1-3, 2018. Tickets are available for purchase atHollywood.HalloweenHorrorNights.com. 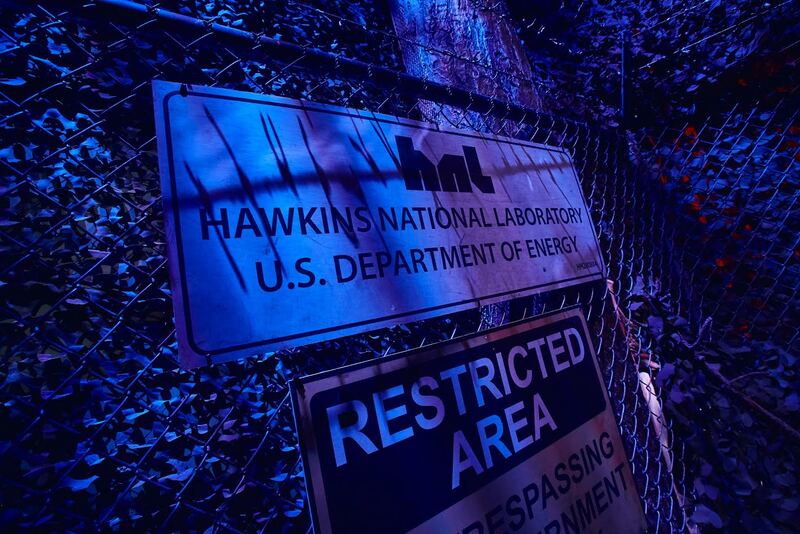 For exciting updates and exclusive “Halloween Horror Nights” content, visit Hollywood.HalloweenHorrorNights.com, like Halloween Horror Nights – Hollywood onFacebook; follow @HorrorNights #UniversalHHN on Instagram, Twitter and Snapchat; and watch the terror come to life on Halloween Horror Nights YouTube. 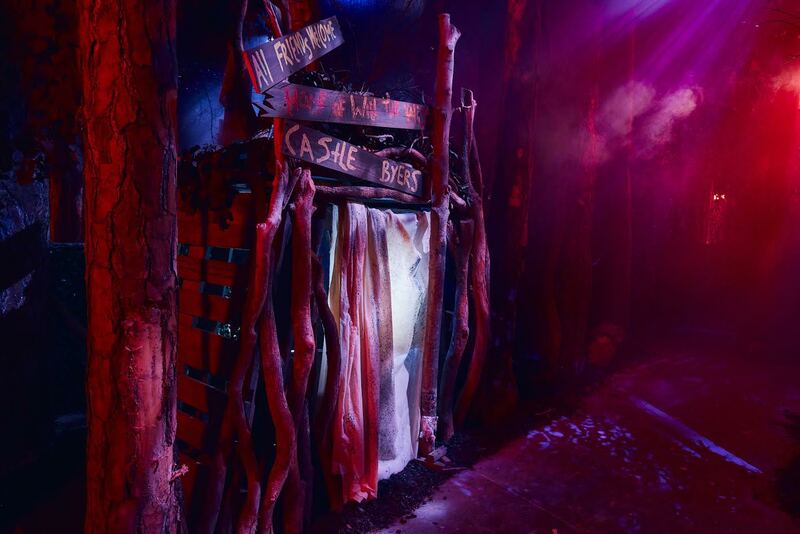 Experience “Halloween Horror Nights” like a VIP with Universal Studios Hollywood’s new R.I.P. Tour! Netflix’s Sci-Fi Thriller Comes to Life at “Halloween Horror Nights” Events in Hollywood, Orlando and Singapore Beginning in September. 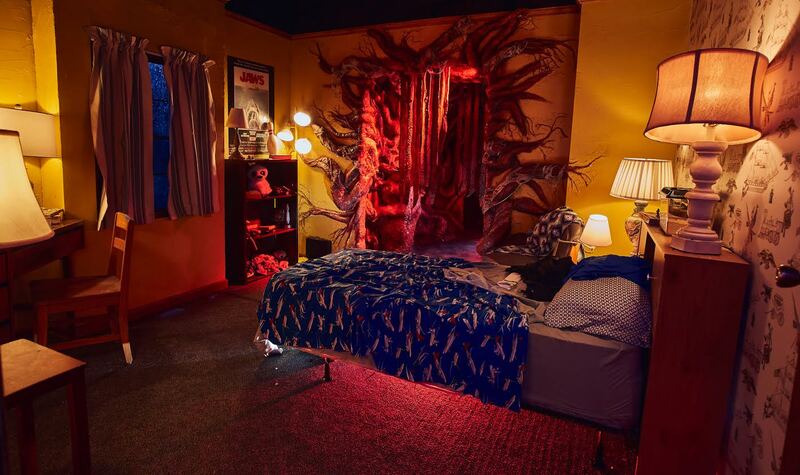 Universal City, Calif. – September 5, 2018 – Universal Studios reveals first look images from the “Stranger Things” haunted mazes coming to “Halloween Horror Nights” 2018.